Back in August, Real Madrid overwhelmed their arch-rivals Barcelona in the Spanish Super Cup, winning 5-1 on aggregate. Real's sheer dominance was so evident that it seemed like they would run away with the La Liga title, in the process successfully defending the league for the first time in a decade. On the other hand, the defeat was so crushing for Los Cules that it prompted Gerard Pique to say that he felt inferior to Real Madrid for the first time during his time at the club. Cut to the present and the Catalan side is nine points clear at the top, having dropped only six points in their first 19 games. Despite losing Neymar in the summer and seeing his replacement Ousmane Dembele play only four games due to injury problems, a solid team effort and Lionel Messi's sustained excellence has helped them establish a comfortable margin at the top. Contrary to popular opinion, Ernesto Valverde's side have achieved their results thanks to a renewed focus on solidity in defence and midfield, which has in turn helped spark great moments in attack. 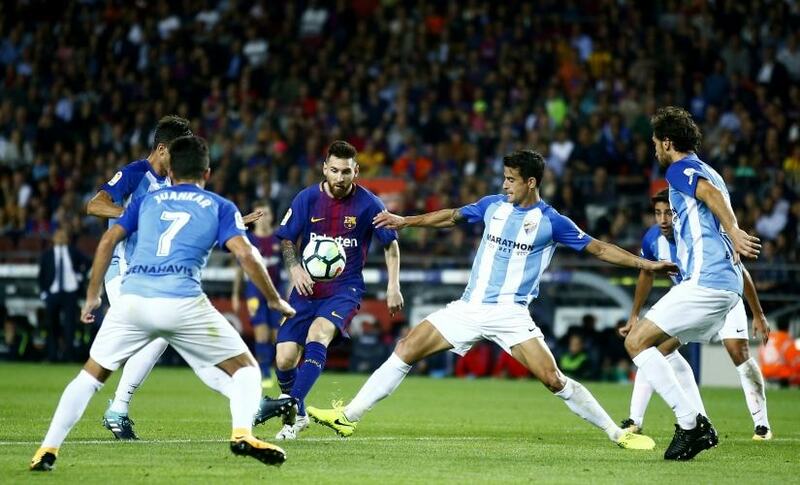 Messi has been key to the Nou Camp outfit's impressive performances, acting as the creative fulcrum, having scored 17 goals and providing eight assists to lead the league. Teammate Luis Suarez is a close second despite a rather slow start to the season, chipping in with 13 goals and two assists. 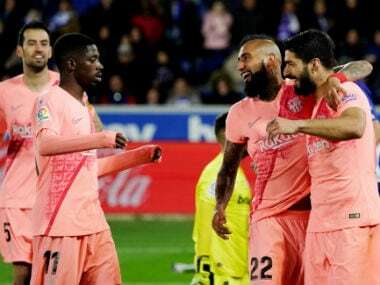 Barcelona's solidity under Valverde has been central to their rise to the top, with the team having scored the most in the league, 51, while also possessing the second-best defence, having conceded only nine goals. Bringing in Paulinho from Guangzhou Evergrande and trusting Thomas Vermaelen enough to give him a sustained run in the first team with Samuel Umtiti injured are just two of the many smart decisions made by the new manager, helping solidify the team's foundations. Barcelona now play with a lot of restraint, especially in the first half of matches, as they keep the ball and eliminate any mistakes. 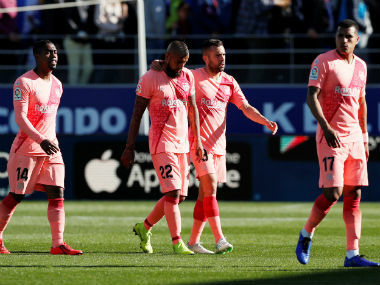 Under Valverde, they are definitely a second half team, having scored 32 of their 52 goals in the league in the second half of games. They even managed to defeat their bogey team Real Sociedad at their home, something even Pep Guardiola and Luis Enrique hadn't been able to get the team to do. And yes, they are the only unbeaten team in Europe's top five leagues. The January additions of attacking midfielder Philippe Coutinho from Liverpool for a fee that could eventually rise up to £146 million and central defender Yerry Mina have helped add quality to a squad that needed strengthening and rebuilding. These additions, along with the summer signings of Dembele and Nelson Semedo, have helped reduce the team's age and will form part of the core for the foreseeable future. At the other end of the spectrum are their rivals Real Madrid. The La Liga and Champions League holders have seen their form tail off since their incredible win over Barca in the Supercopa. Coach Zinedine Zidane has been unable to inspire his team to the same level of consistency as last season. The loss of James Rodriguez and Alvaro Morata in the summer reduced their bench strength significantly and that has also played a part in their inability to live with the pace set by Barcelona. 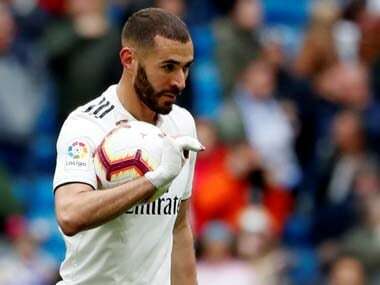 Cristiano Ronaldo's form in the league has been poor, having contributed only four goals and two assists, while Karim Benzema has had a horrendous season overall, with fans clamouring for his sale. Though they progressed comfortably to the knockout rounds of the Champions League, they face Paris Saint-Germain in the round of 16 and a loss could spell danger for Zidane, with rumours of discontent with his coaching among the faithful doing the rounds. Despite their victorious Club World Cup campaign, Los Blancos have had a season to forget so far. A statistic that lays bare their problems this season is that they are 19 points behind Barcelona, albeit with a game in hand. Currently fourth in the league, their title hopes have been reduced to a mathematical possibility only, as they are closer to 15th place (nine points) than the top. The most surprising team in Europe this season has to be Valencia, as they have rediscovered some of their swagger of the past under manager Marcelino Toral and currently sit third in the league, eight points above Real Madrid. Marcelino's brand of fast, counter-attacking football suits his players perfectly, with the likes of Goncalo Guedes, Simone Zaza and Rodrigo thriving. With a team composed of some key loan signings and smart permanent arrivals, Los Che look primed for a top four finish this season. The authority given to the new manager clearly worked, with the team shedding a lot of their deadwood while making crucial changes to player diets and conditioning to ensure the groundwork was done for a rise back to the top. Seeing Diego Costa back in an Atletico Madrid jersey made us feel as though he had never left, as though he had been there all along, scrapping away, not yielding an inch, getting in the face of his opponents, and of course, scoring goals. Signed in the summer, the striker could not make his debut till January owing to Atletico's transfer embargo, but once he did get on the field, he didn't waste any time, scoring and getting sent off on his return. Along with Vitolo, Costa was a key addition made by manager Diego Simeone, and with the two players now finally playing, Los Rojiblancos look best-placed to mount a challenge to overhaul Barcelona, as they sit in second place with 42 points. During the first half of the season, they were the league's stingiest defence, conceding only eight goals. Antoine Griezmann has been consistent, chipping in with five goals and five assists, but their best players have been midfielders Saul Niguez and Thomas Partey, the perfect combination of skill and steel. Despite the disappointment of their elimination from the Champions League, the Atletico Madrid team has progressed thanks to the evolution of Simeone, who has realised the importance of having a deep squad and has rotated his players constantly to keep them fresh. Despite the teams at the top of the table being well spread out, La Liga this season has been much more closely contested than previous seasons, with teams from the sixth position to the 15th position separated by a meagre six points. Teams like Athletic Bilbao and Celta Vigo, that have consistently been middle of the pack, have been trading punches with young, upcoming teams punching above their weight like Girona and that has made for an extremely entertaining first half of the season. If last year was the year of teams experimenting with a three-man defence in leagues across Europe, this year seems to have seen a return of the 4-4-2 in Spain, with the top four teams in La Liga using the formation on a consistent basis. The new-found solidity at Barcelona can be attributed to the use of four midfielders by Valverde, with Busquets supported by Andres Iniesta, Ivan Rakitic and Paulinho. That allows the full-backs Jordi Alba and Sergi Roberto to join the attack frequently and gives Lionel Messi and Luis Suarez a lot of time and space in the box to work with. Real Madrid have persisted with the modified 4-4-2 that worked for them last season and helped them turn their season around, with Isco as the creator floating in space ahead of the midfield trio of Casemiro, Luka Modric and Toni Kroos. Atletico Madrid have also been playing in a 4-4-2 formation, using Griezmann up top along with Gameiro (and now Costa), while Saul, Koke, Partey and Angel Correa manning the midfield. Valencia's ultra-attacking football has been a joy to watch and their bold 4-4-2 formation is the reason for that as they play with pace, width and penetration, working to the strengths of Guedes, Rodrigo and Zaza, using the guile of Parejo and the strength of Geoffrey Kondogbia to perfection. Always known for being proponents of the 4-3-3 formation with possession and speed of thought key to their playing style, the top teams in Spain have embraced the chance to evolve and suit their style to their players, helping add an extra dimension to their play. As a result, the top four teams have basically cancelled each out in their encounters, with the only decisive result being Barcelona's 3-0 win over Real Madrid in the Clasico, a match in which Lionel Messi produced multiple moments of mesmerising magic. That shows that despite the gap between the teams in the points table, the top three have actually been successful at countering each others' strengths and weaknesses and it is Barcelona's consistency that sees them hold such a big advantage. Their mantra has been to approach each match individually, and as stressed by Valverde, treat their opponents with respect. That has afforded them the comfort of being able to assimilate a key player like Coutinho during the second half of the season, with his absence from their Champions League squad a very minor spanner in the works in what has been a very solid season so far.